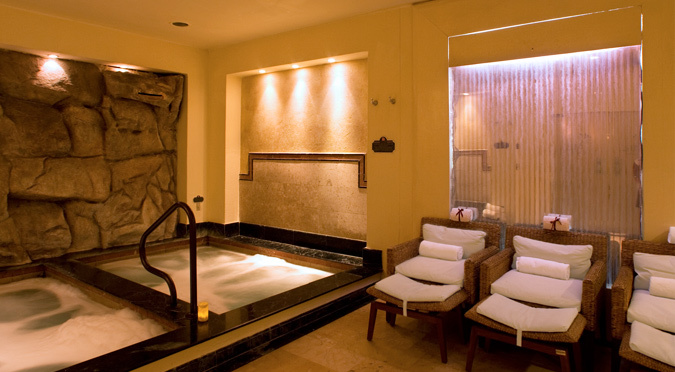 Our full-service, European-inspired Armonia Spa is a luxurious 15,000-squaure-foot retreat that has been named one of the Top 10 Hotel Spas of Mexico, Central and South America by the readers of Travel + Leisure. The design of the spa is influenced by Mediterranean-style architecture, with marble flourishes, relaxing warm colors and delightful lighting. The facilities include 15 treatment rooms, including a couple's room, steam rooms, cold water plunges, hot water pools, Jacuzzis, Swiss showers and relaxation lounges—all which are designed to provide the utmost comfort for massages, facials, spa rituals, manicures and pedicures.